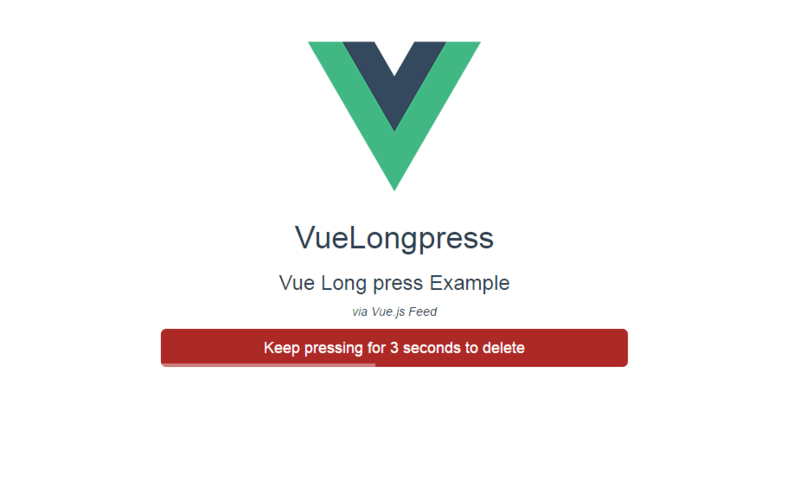 VueLongpress: button component that requires you to keep pressing to confirm a given action. 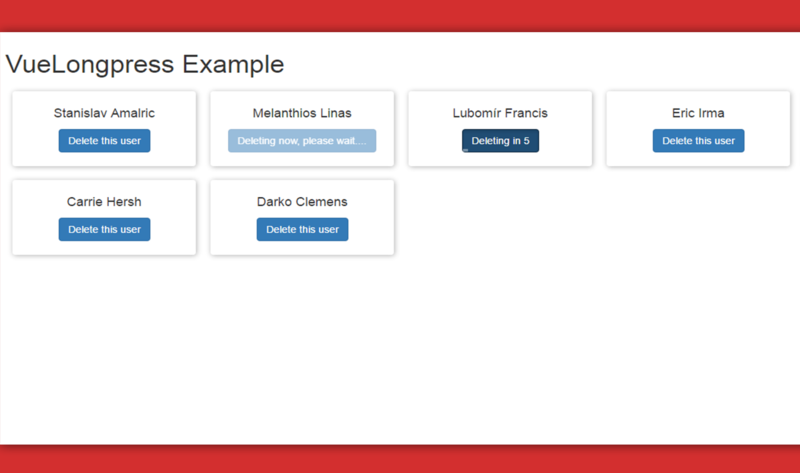 The longpress component will generate a confirmation button for sensitive action, which requires to be hold for an amount of seconds to execute a given action. Think of a sensitive scenario, something like deleting a user's data, you might need to confirm for 5 seconds that you actually want to delete it, to prevent unintentional clicks. Also there's a reset method in case you need to reset your button status. To use it you'll need to add a ref to your button and call it from there. Find tihs Vue component on GitHub.